Drought plagued Alabama for the last few months of summer. As fall gets underway many anglers are looking forward to the relief from the heat. In mid August a week long warming trend showed air temperatures averaging 103 degrees and very little rain occurred to help cool things down. In addition the summer drought had most Alabama Lakes down a few feet, far below normal full pool levels. For the last two months of summer on into the early fall period starting in September, Logan Martin Lake has been unseasonably low at 3-4 feet down. Usually at the beginning of the fall season Logan Martin Lake is at full pool with aquatic weeds in full bloom. It is then lowered for winter pool, slowly dropping each week until down about 4-6 feet. With lake levels currently down over 3 feet since summer very little weeds had a chance to grow. Since most aquatic weeds were high and dry and most weeds just withered and died in the hot summer sun. Despite low lake levels all summer, some weeds still continued to grow as the new, low water shoreline showed a steady lake level. So anglers looking for bass in the weeds at the beginning of this fall season, can still concentrate their efforts along visible weed lines, some of which are still growing along the lakes new, low water shoreline. Soon, as temperatures plunge, even these weeds could wither and die and again be high and dry with more of an annual lake drawdown of 4-6 feet during winter. Logan Martin Lake could be down 4-6 feet for winter pool by the first week of October. If so, it will remain down until next spring, when the lake is traditionally returned to full pool in April. Looking at each section of the lake here is what to expect this fall season when targeting Logan Martin Lake’s spotted bass, largemouth bass and an occasional striped bass. Although the Interstate 20 bridge crossing is situated at midlake (its 25 miles to either dam) this is considered the lakes upper portion, even when it is down 3-4 feet. If the lake is dropped any lower (like last year at this time when it was down 6 feet), boaters should use extreme caution when navigating here. There is mostly just a river channel and no channel markers above this midlake I-20 bridge. There are also very few feeder creeks in the lakes upper 25 miles of water with most creeks not even showing good water depths when the lake is down. Near the two bridges (I-20 and a railroad bridge) that span the mid lake, is Blue Eye Creek and Blue Springs Creek. Above here (about 5 miles) is Broken Arrow Creek. It does have a rock bluff bank on your left as you enter from the main lake, displaying 5-10 feet of water, before it plays out into a very shallow creek flat of 1-2 feet deep. Idling the boat as you enter any of these major feeder creeks is highly suggested. There are stumps and rocks in some very shallow backwaters found here. Along the main river channel banks in these lake headwaters you will see stumps, laying trees, logs, visible brush piles and small points situated along the mouths of small cuts, pockets, flats and islands. Fishing this wood cover requires various lures, certain colors and various presentations during the entire fall season. Its all according to the available current, the water clarity, lake levels and especially…the weather. Early during the fall season the lakes headwaters will still be warm from the hot summertime 100 plus degree days we had. This intense heat of summer showed water temps of 90 plus degrees and bass either fed in the warmer water or they headed for the deep feeding early, late in the day and at night. As September gets underway and cooler weather slowly creeps in, these water temps slowly drop into the low 80′s and then into the 70′s by October. This triggers a feeding sensation among the lakes bass. 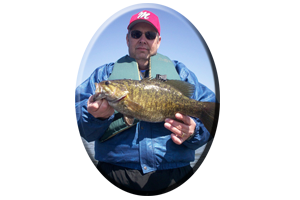 Lures like topwaters, spinnerbaits and crankbaits are good choices fishing around all the wood cover found here in the lake headwaters. Heavy rains and cold, swift water may make these lake headwaters muddy and unproductive during November and early December. The mid to lower lake may prove to be much better fishing conditions in late fall during these adverse conditions. Leaving Interstate 20 crossing at mid lake and heading down stream to Stemley Bridge is considered the mid lake. Here an angler will immediately notice the lake widens and small creeks, main lake flats and pockets become much more evident, than when fishing the upper lake region. Still, low water has many places anglers normally fish in early fall, now high and dry. 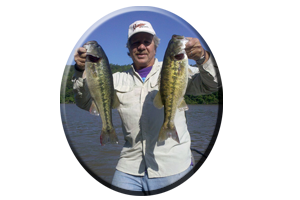 Fishing the upper and lower points leading into these creeks and pockets with lures like crankbaits, rattletraps, spinnerbaits and jerkbaits are good search lures for active bass in the fall and good lures for both spotted bass and largemouth bass right on up into the early winter. There are main river ledges, points, stump filled drop-offs and some small islands as well. 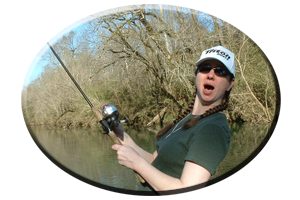 Texas rigged worms and lizards, Carolina rigged plastics, tube baits, creature baits, jig combos and using jigging spoons are all good lures for fishing from shallow to deep water of 15-30 feet found here. 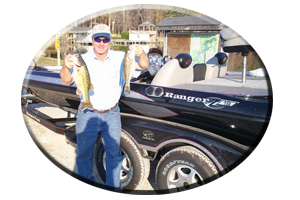 Many anglers have success fishing Logan Martin Lake during the entire fall season with small 4 inch worms or small lizards, crayfish imitations and other soft plastic lures rigged on jig heads, fishing with light line and light tackle outfits. The clearer the water the better this finesse tactic works on this lake. It is an especially good technique during the fall and winter seasons fishing around piers, boat houses, marina release sites and man made rip-rap rocks found along bridges, the dam and rock lined causeways. This midlake region does have plenty of this man made cover (like piers and boat houses) for anglers to explore this fall season. Seddon Creek, Dye Creek, Choccolocco Creek and Poorhouse Branch Creek all still have water at least 5 feet deep (or deeper) during lake drawdown. From Stemley bridge to Logan Martin Lake dam is considered the lower lake. This portion of the lake displays water depths of over 60 feet deep with an old river channel, ledges, drop-offs, submerged roadbeds, old house foundations, submerged islands, humps, ridges and even a few submerged lakes for the deep water angler to explore. There are also many piers with resident planted brush all around them. Many brush piles are now visible and getting a lure under piers is no problem with the lake down for winter. Clear water during the fall season may call for the use of lighter line and smaller profile lures during these cooler months. Besides all the wood cover these bass relate to there, is also plenty of rock cover found to fish in this lower lake area. Rock bluffs, rock or block walls, boulder strewn banks and man made rip-rap rocks are very visible now with low water. Still there is loads of both wood and rock cover for bass to relate this fall and winter season on this lower lake region. Feeder Creeks like Cropwell Creek, Rabbit Branch Creek and Clear Creek still have navigable waters and plenty of evident baitfish schools and bass busting shad during the fall period. Schooling activity among the lakes spotted bass, largemouth’s and striped bass takes place on this lower lake area as waters cool in late September on into the early winter period of late December. Always be rigged and ready for this often fast and furious feeding action. On top evident schooling activity always calls for the use of various types of topwater lures. On some days these bass prefer smaller lures like tiny or baby torpedoes, crazy shads, the spittin’ image, the poppin’ image and a small zara spook, baby super spook or sammie. Soft jerkbaits are great lures for schoolies. 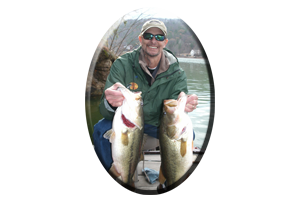 Often these bass are feeding on bigger end of the year baitfish like threadfin shad, gizzard shad and smaller gamefish like baby bass, crappie or bream. This may call for the use of bigger more gaudy type topwater lures like the zara super spook and the bigger model Sammie’s. Fishing these feeder creek flats and backwaters in the fall season for schooling bass is also good using rattling lipless lures like one quarter to half ounce Rattletraps and Rattling spots, shallow to mid diving crankbaits, both floating and suspending jerkbaits and 1/4 to 1/2 ounce jigging spoons. Make long casts, rigging these lures on 14-15 test line and using 6-7 foot rods. This is the best equipment for making long casts to these schooling bass of fall on Logan Martin Lake.